Product prices and availability are accurate as of 2019-04-18 00:38:04 UTC and are subject to change. Any price and availability information displayed on http://www.amazon.co.uk/ at the time of purchase will apply to the purchase of this product. 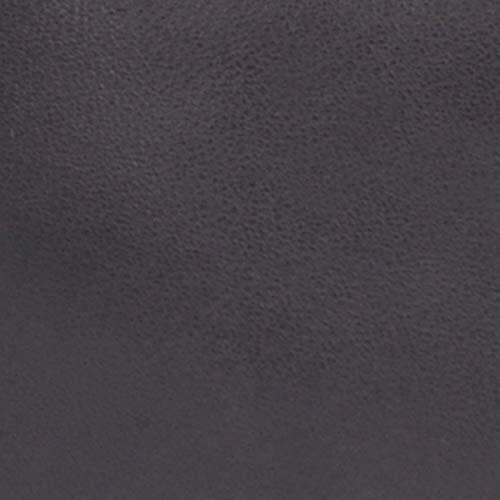 WASHED NAPPA LEATHER is dark, sultry, antique leather which looks simply fabulous against the antique brass fittings. Deliciously soft leather is fashionably creased with a slouchy accent. The leather has been given the creative touch which gives it that much loved vintage, aged leather appeal that simply exudes street cred. The long strap is fully adjustable with a sliding brass grip for the perfect fit and there are no buckles to snag clothes; wear on the shoulder or hands-free across the body. 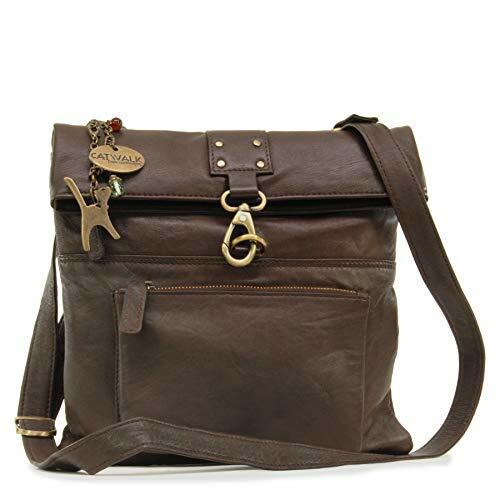 This is a medium sized, slim fitting messenger-style bag which can hold items up to A5 size. The interior is fully lined and slightly padded for comfort when hugged close to the body. There is a 'secret' zipped pocket on the back of the bag plus a handy front zipped pocket for ease of access. The bag fastens securely with a metal zip and the top part folds over and is secured with a brass spring clip. The perfect deterrent for pick-pockets! 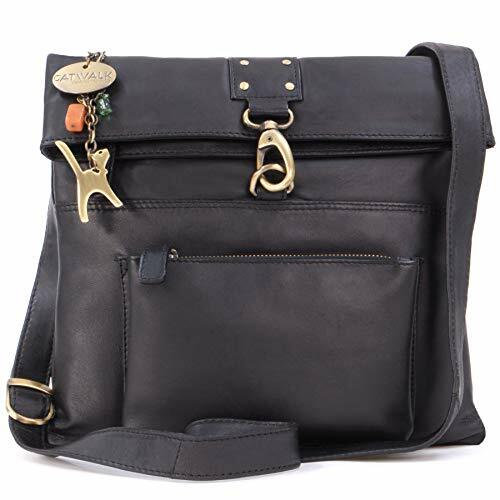 GORGEOUSLY DARK AND SULTRY CROSS-BODY BAG MADE FROM DESIGNER ANTIQUE LEATHER SIZE: H 27 cm, W 3 cm, D 28 cm Shoulder Strap 136 cm. 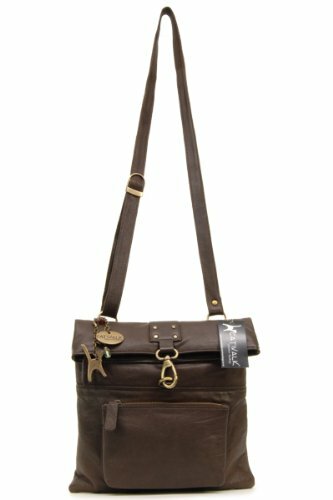 POCKETS: 1 Main Compartment + 1 Interior Side Zip Pocket + 1 Mobile Phone Holder + 1 i-Pod Holder + 1 Outer Front Zipped Pocket + 1 Outer Rear Zipped Pocket MATERIAL: Leather, CLOSURE: Metal zip and spring clip, HARDWARE: Antique Brass. 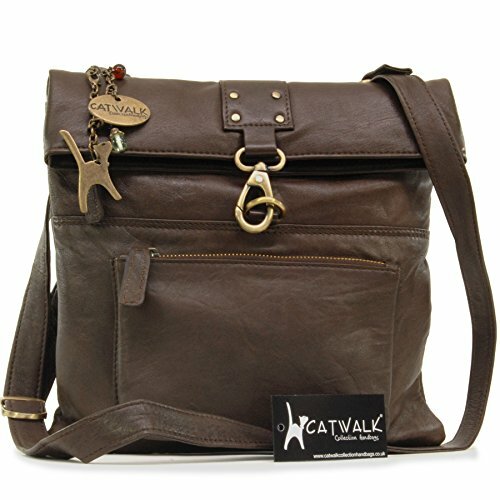 Each bag comes with the iconic Cat Logo Bag Charm and branded Dust Cover.